"" Great big brushes are perfect for small hands allowing young artists better control. Each brush features hog bristles that extend 1/2"""", aluminum ferrule, and a 6"""" long handle that has an approximate 1/2"""" diameter. Total brush length is 7"""". "" 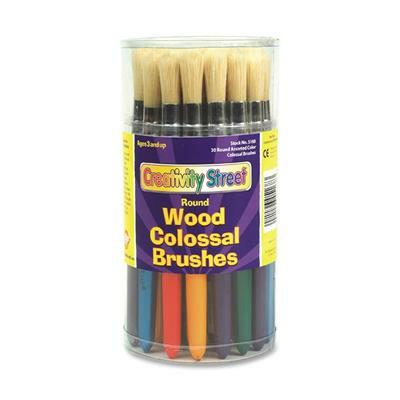 Great big brushes are perfect for small hands allowing young artists better control. Each brush features hog bristles that extend 1/2"""", aluminum ferrule, and a 6"""" long handle that has an approximate 1/2"""" diameter. Total brush length is 7"""".